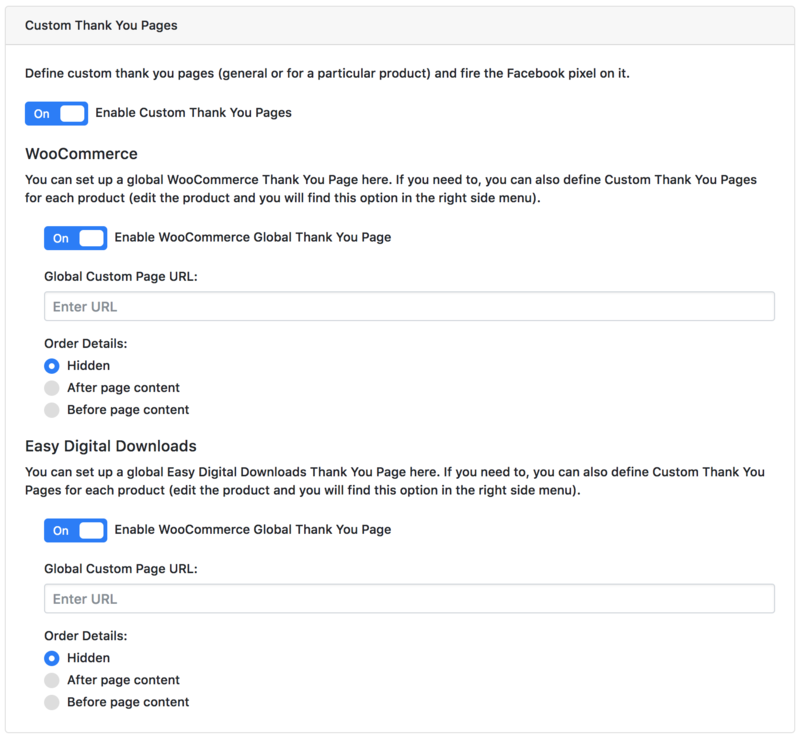 This add-on enables you to use “Custom Thank You Pages” for WooCommerce or Easy Digital Downloads. The Purchase event with all its parameters will be automatically fired on the “Custom Thank You Pages”. IMPORTANT: in order for this to work, the redirect must be configured ONLY with our add-on. In order to configure a global CTP for WooCommerce or Easy Digital Downloads open the Super Pack from PixelYourSite Pro right side menu. Look for the “Custom Thank You Pages” section and fill in the URL you want to use. Once you’re done, click on the “Save Settings” button. You can define CTPs that will be used when specific products are purchased. Edit the desired product and look for PixelYourSite settings on the right side column. 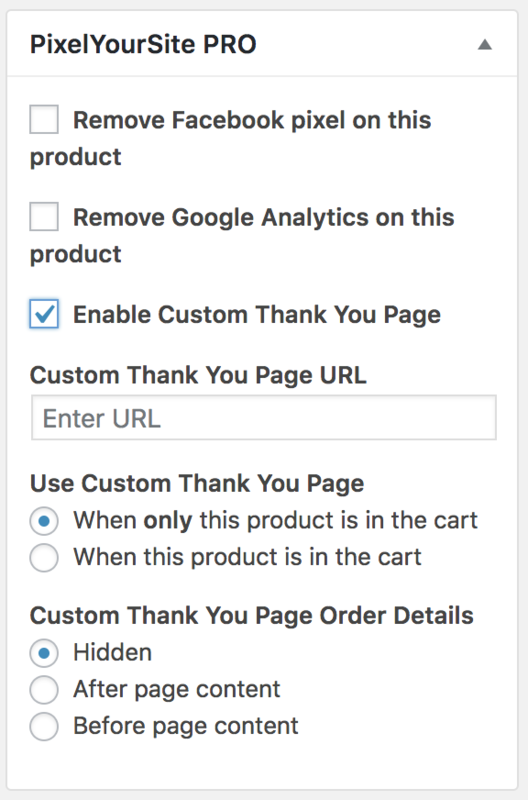 Check the “Enable Custom Thank You Page” box. Enter the URL you want to use as the CTP for this product. Once you’re done, Update your product.